Family Discovers Sultans Treasure Worth Millions in Their Attic. 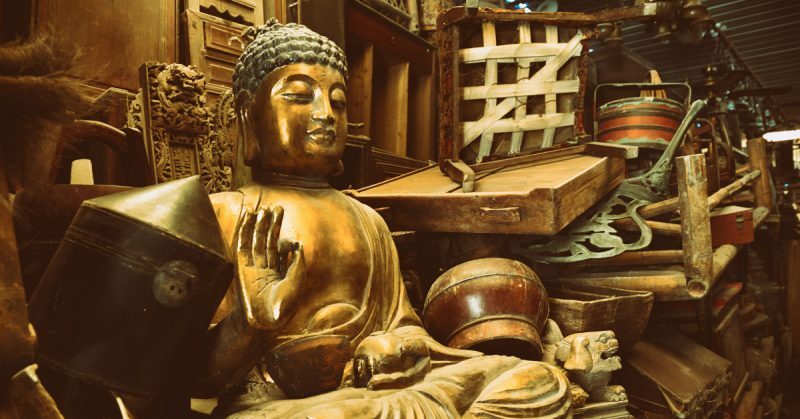 A family in Berkshire, England, learned that artifacts they’ve stored in their attic for years are worth millions of dollars. The artifacts were taken from India by a British army officer after the defeat of Tipu Sultan in 1799. Included in the collection is the rifle that historians believe the sultan was using at the time of his death. The rifle has a tiger stripe pattern on it which is unique to Tipu who was known as the “Tiger of Mysore.” The rifle also shows damage which is believed to have been sustained from the musket ball that killed the sultan. Also in the collection is a golden firangi sword which is marked with the symbol for Haider Ali Khan, Tipu’s father who ruled Mysore before Tipu. Major Thomas Hart returned from India after the Fourth Anglo-Mysore War and brought these items with him. The family passed them down through the generations. The current owners had kept them wrapped in newspaper in the attic of their home for years. An auction of similar items in 2016 fetched £6 million. This collection is considered to be more significant. The previous auction contained items from various sources that were collected over 40 years. 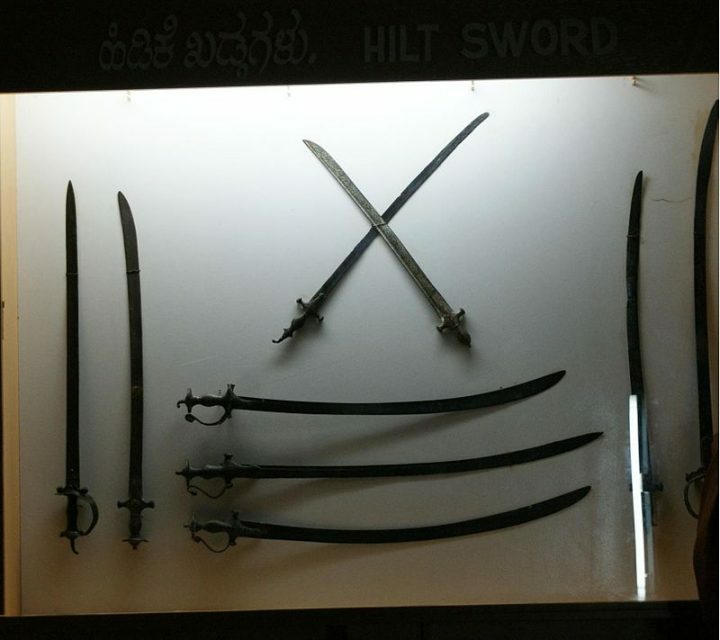 This collection was obtained from the site of Tipu’s defeat and has been kept by the same family for 220 years. Auctioneer Anthony Cribb described the family as an ordinary family and said that finding these relics in their attic was like winning the lottery for them. 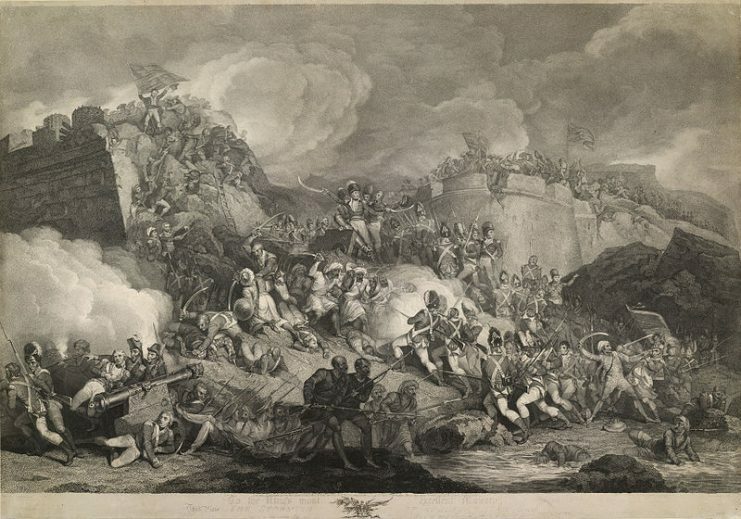 The British went to war with Mysore after intercepting correspondence from Napoleon proposing an alliance between Mysore and France to battle the British. Arthur Wellesley, who would go on to become the Duke of Wellington, led British troops into Seringapatam – the capital of Mysore. Tipu shot at the encroaching British soldiers with longarm muskets that were handed to him by his servants. He was killed by a musket ball that deflected off his rifle, striking him above his right eye. After Tipu’s defeat, British soldiers ransacked the city including Tipu’s palace, armory, and treasury. The British officers helped themselves to the sultan’s treasures. The remaining items were auctioned off to the soldiers in the weeks after the battle. Such items included Tipu’s gold, jewelry, clothing, arms, armor, and the grand throne from his palace. The most intriguing lot in the find from Berkshire is the rifle. It is a 21-shot repeating flintlock musket actually used in battle by the sultan. 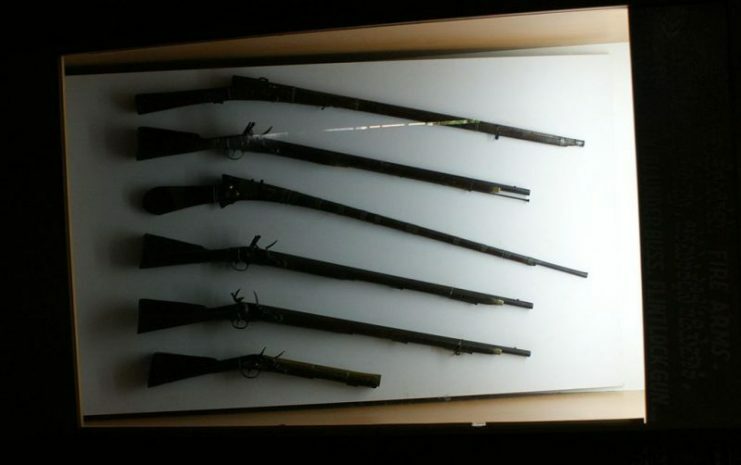 Two identical rifles which are in nearly perfect condition are stored at Windsor Castle. They were gifts to King George III. Also included in the collection is a solid gold snack box that contains three betel nuts that have been kept in the snack box for 220 years. Tipu was an Indian leader who was feared by his subjects, his neighbors, and by other Indian princes due to his ferocious nature. He fought against the East India Company’s invasion of southern India. He worked to build an alliance to drive the British out of India. His negotiations with France were what led to the British invasion of Mysore. Tipu Sultan’s forces during the Siege of Srirangapatna. Worried that France might invade British holdings in India, Lord Mornington began building an army in 1798 to deal with Tipu. In February 1799, the army began the march to Mysore. Once there, they began building siege works and cannonades to prepare for the attack. On May 4, the attack began. The walls of Mysore were breached quickly, and Tipu died while fighting against the invaders. His body was found under a pile of corpses and was given an honorable burial in his family’s mausoleum.